Matthew Kocel is a phenomenal composer with a wealth of musical ingenuity that perfectly captures the vibe of renewal and self-cultivation. Kocel discovered his greatest sonic gifts after struggling for fifteen years to achieve stardom as a rock musician. Today, Kocel uses the beneficent properties of music and sound as an aid in his practices of holistic healing. His maestro is achieving recognition as an emerging leader in the world sound healing movement: He recently was made a committee member of the Sound Healing Initiative under the Global Wellness Institute. 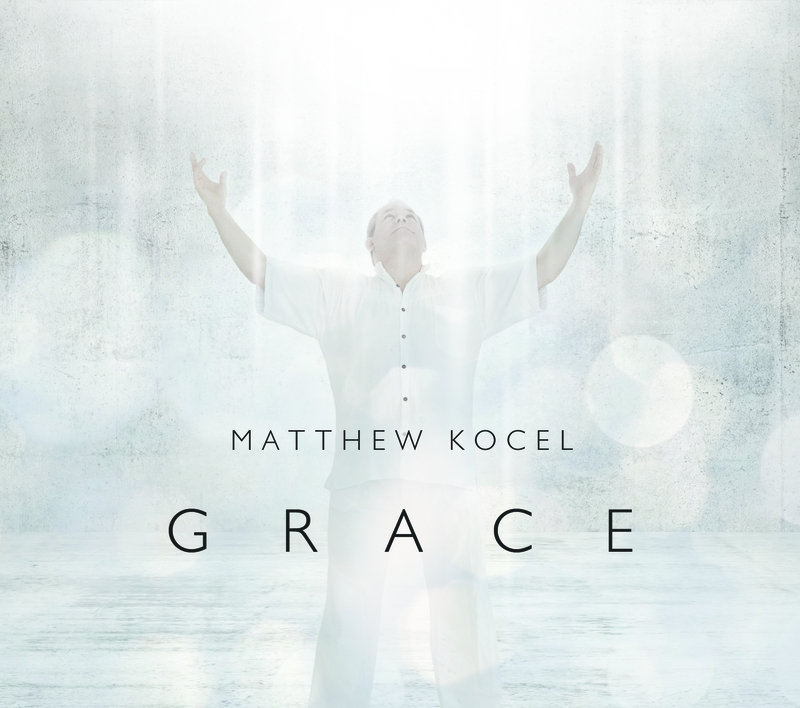 Kocel’s newest release entitled Grace is an uplifting call to the collective consciousness and spirit of humanity. Comprised of five enchanting tracks, Grace is a masterfully woven album that is nearly an hour in length. In the great exodus from the world of materialism, Kocel’s symphonious offering has everything to do with reconnecting us to nature by shifting our focus to the here and now. Kocel engineered and co-produced Grace with Mark Fenster, all compositions, vocals, and instruments are by Matthew Kocel except for the tamboura track by Mark Fenster on “Farewell to Atlantis”. In my personal opinion, it would be impossible to describe or interpret Kocel’s masterful work as one would music made for entertainment. It is for this reason that I will proceed to evaluate each track appearing on Grace in a format of instinctive prose. 1-Andromeda – The long journey of leaving the phenomenal world to landing on the island of being within is the first prize that our consciousness must achieve in becoming whole. We are simply observing ourselves and live in the testimony of what was witnessed. The layered vocal harmonics symbolize Mother Nature’s words of encouragement and pleas to leave all fears aside for this is the first step. 2-Farewell To Atlantis – The bridge connecting our conscious and subconscious minds is a memory that cannot be lost. Though we may not know the name of every thought or emotion, these intangible elements are the building blocks of our experience. However, there exists life beyond these worlds. 3-Poseidon’s Dream – Arriving upon the shores of deidentification, we can, at last, see the dreamer in the mirror of imagination. Our spirits can rest awake in this place of timelessness. 4-Borealis – The sound of the chimes alert us to the dawning happiness and inner peace that ascend upon the horizon. It is by the “grace” of all that exists that we are bestowed with the confirmation of our place upon the path. 5-Grace – This place of reemergence is a joy expressed in tears. The chorale of baptism has made us whole. We are reborn in the destiny that calls us. Awakening unblemished to a bright new day.